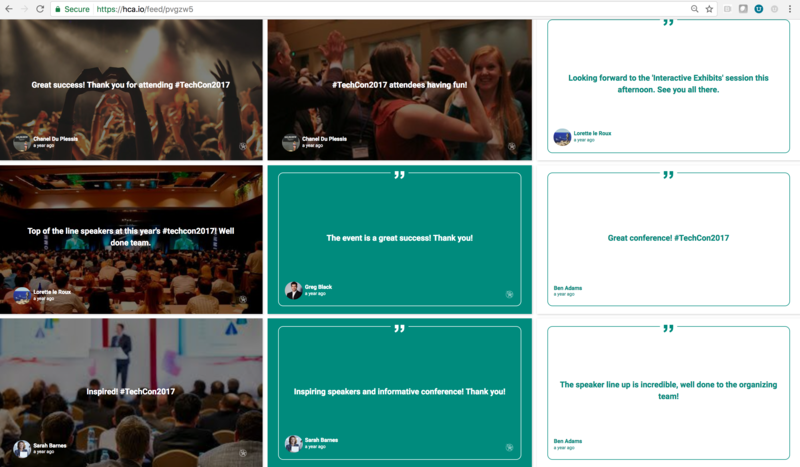 The in-app event social feed allows you to display your delegates social content in real time at your event. You and your attendees can contribute to the event feed by creating new posts directly from the Mobile Event App. Posts can include @mentions, images and links and it’s a great way to help drive engagement at your event. The event feed will be the home page for events if you have chosen 'Private Social Feed' at your Event Setup on the App Dashboard. Review and manage your entire event feed directly from your app dashboard. Delete posts that you deem inappropriate and stay on top of your event. Send the url to the technical team to display Social Wall on external screen at your event. Posts from your event feed can be broadcast live to a social wall (external screen) at your event. 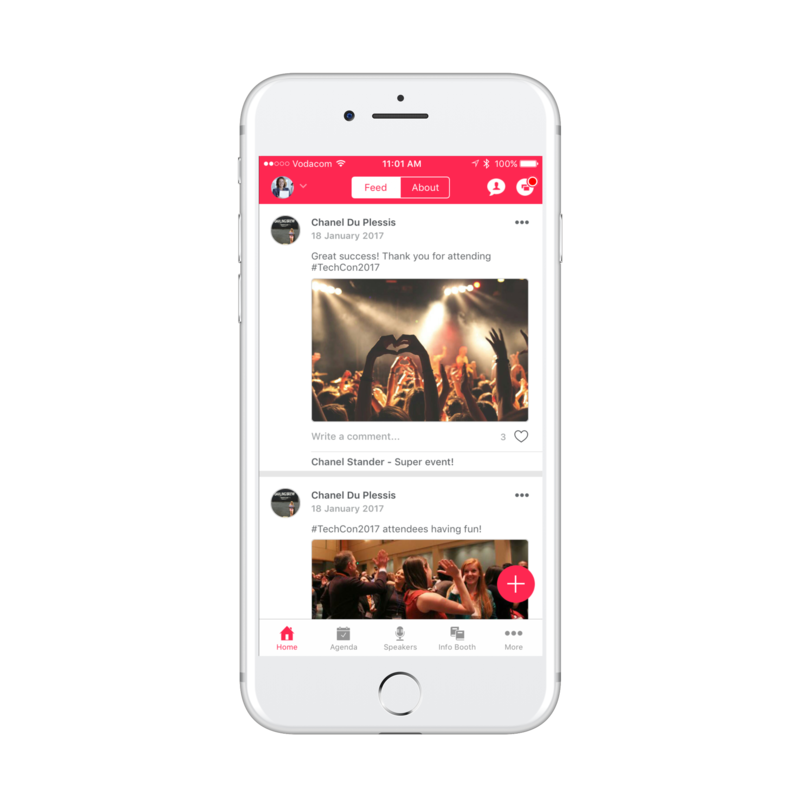 The only thing you need to do is send the url link available on your App Dashboard at Event Feed to your AV team to display Social Wall on AV.